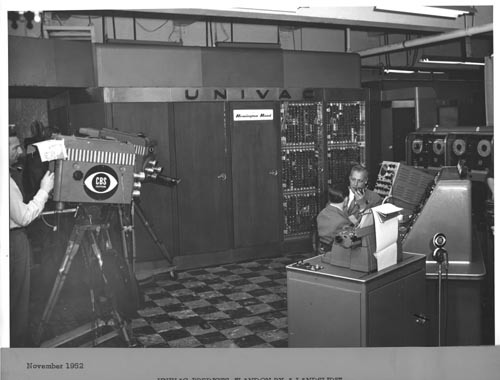 B&W digital image of a CBS camera and a UNIVAC system room. The camera is to the left with two men sitting at the console in center. In background is the UNIVAC mainframe and to the right tape drives.